FORMAT: ALL RELEASE-FISH MUST BE AT LEAST 18 INCHES IN LENGTH TO QUALIFY AS A LEGAL RELEASE. RELEASES ARE DOCUMENTED BY PHOTOGRAPHING THE FISH AGAINST A MEASURING DEVICE. THERE ARE THREE (3) TACKLE DIVISIONS: GENERAL (BAIT), SPIN/PLUG (ARTIFICIAL), AND FLY TACKLE. CELEBRITY GRAND CHAMPION ANGLER: WADE BOGGS, TAMPA, FL. GRAND CHAMPION LADY ANGLER: LINDA DENKERT, ISLAMORADA, FL. TEAM GRAND CHAMPION ANGLERS: MO SMITH, MEMPHIS, TN /FRANK DELUCAS, DAVIE, FL. 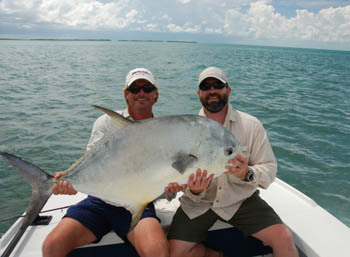 GRAND CHAMPION ANGLER: MIKE ALLEN, KEY WEST, FL.